Bertman Foods Co., maker of Cleveland’s famous Bertman Original Ball Park Mustard, has updated its branding and released new packaging into retail locations. Building on a 94-year tradition of uniquely great taste and consistent quality, Bertman continues to develop its brand by honoring its past and evolving with current trends and market conditions. The updated labeling features the familiar red, white and blue colors that fans of Bertman Original Ball Park Mustard recognize and appreciate, along with bold ‘Bertman’ script lettering, which unites the brand’s long, tasty legacy, to its new modern look. The refreshed labeling of its Horseradish Sauce is similar to Ball Park Mustard, but with inviting orange and dark blue coloring. The new packaging rollout should start to be made available in stores late February. 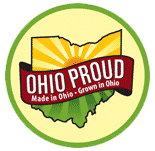 This brand refresh continues Bertman’s mission to expand its awareness and distribution as well as bringing a small taste of Cleveland to the world. Bertman is available in numerous grocery, convenience and specialty stores as well as online at various retailers, including Amazon. It is also a featured mustard at many restaurants and food service establishments across the country. Submit inquiries for press engagements to: Gayle Vos at info@bertmanballparkmustard.com or call 216-431-4460. Click here to download high resolution photos of the new product lineup and the official Bertman logo.